Juliana Chua is Head of Digital Transformation Office at NTUC Income (INCOME), Singapore’s largest composite insurer serving the protection, savings and investment needs of more than 2 million customers and possess over $30 billion worth of assets. Juliana leads the team to digitise core business with a focus to converge physical and virtual environments, in order to meet the changing of customer needs. Juliana has a background in International Business Management (INSEAD), IP Law (NUS Law) and Computer Science (Loughborough, UK). She has worked across continents in the US, China, Japan, India, UK and Singapore, and is inventor to 6 granted patents and patent applications for upstream innovation. 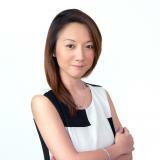 Prior INCOME, Juliana is Director of the IP Office of Singapore (IPOS) International where she successfully forayed into the US, China, Japan and Singapore markets with new products/services. In her past 15 years of career, Juliana served the World #1 innovation leader – IBM in UK, Asia leading IP law firm – Spruson & Ferguson, Singapore’s largest technology office – Exploit Technologies of A*STAR, Japan leading materials MNC – Nitto Denko, and have launched 2 startups into markets worldwide. Check out the incredible speaker line-up to see who will be joining Juliana .